This newly renovated, beautiful 2 bedroom, 2 bathroom condo has all new plumbing and electrical throughout! There is a brand-new roof, AC/heat, water heater, ceiling fans, light fixtures, kitchen cupboards, and 2 new bathrooms. This unit comes turnkey furnished even including beach chairs, umbrella and wagon in the storage unit. The unit also comes with one assigned covered parking space. There is plenty of guest parking as well. Cayman Cay Villas is an 18 unit complex spread out through two buildings that offers a number of amenities, including a heated swimming pool, grilling and a shuffleboard court. Cayman Cay is located just across the street from the Public beach, close to restaurants, Publix and other shopping, accessible by foot or take the Anna Maria free trolley. It is quiet and secluded, ensuring you can enjoy complete privacy. Just steps away from the beach, you don't want to miss this one! Directions:64, right on gulf dr, right into Cayman Cay right after the Public beach. SchoolsClick map icons below to view information for schools near 4307 Gulf Drive #205 Holmes Beach, FL 34217. MFRMLS data last updated at April 21, 2019 12:06:03 AM PST. Home for sale at 4307 Gulf Drive #205 Holmes Beach, FL 34217. Description: The property at 4307 Gulf Drive #205 Holmes Beach, FL 34217 in the Cayman Cay Villas Condo subdivision with the MLS# A4426969 is currently listed for $339,000 and has been on the market for 72 days. 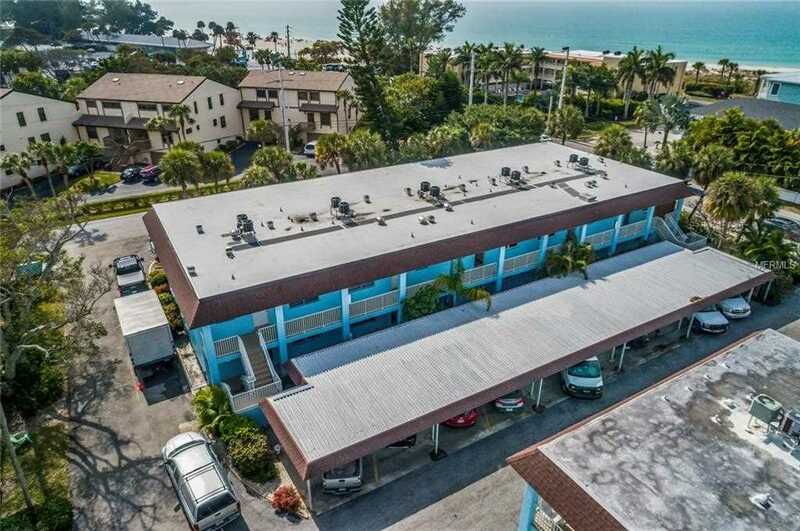 You are viewing the MFRMLS listing details of the home for sale at 4307 Gulf Drive #205 Holmes Beach, FL 34217, which features 2 bedrooms and 2 bathrooms, and 1027 sq.ft. of living area.